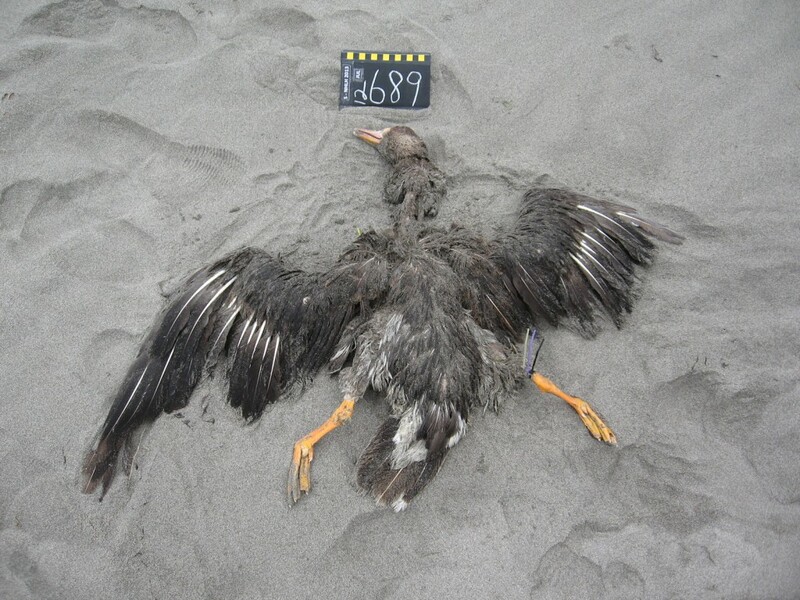 A Greater White-fronted Goose found by Tom and Connie on the South Coast of Washington. This is a rare find for COASST (less than 40 documented!). You won’t find this species in the field guide. However, those three webbed front toes and bulbous forth toe will put this bird in the “Waterfowl: Tippers and Geese” category. A Pacific Loon found by Melissa in Humboldt. Check out those wide flattened-like-a-knife tarsi: definitely a loon! Looking up the LO section in Beached Birds, we see that small loons (Pacific and Red-throated) can be separated from the Common Loon by their wing size. The Pacific Loon can be distinguished from the Red-throated Loon by its straight (as opposed to upturned bill – second photo shows this best), and limited spotting across the back. A Brandt’s Cormorant found by Olli, Carolyn, and Keith in Oregon North. The dark bill and a tan chin rule out the smaller, Pelagic Cormorant (featured in our last email) and the Double Crested Cormorant (stout orange bill or black bill with white face plumes). Pacific Lamprey – part of a class of animals (Agnatha) without jaws, ribs or paired fins. 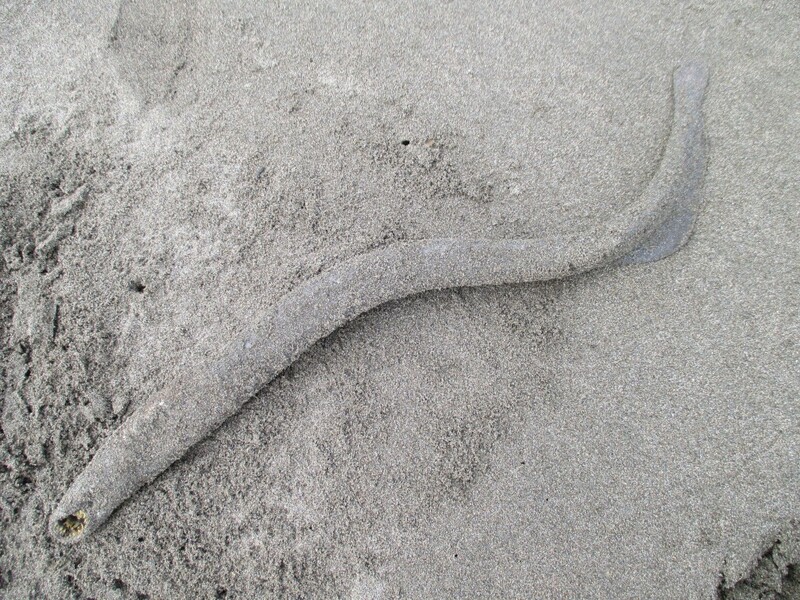 A Pacific Lamprey found by Candace, in Oregon South. A first-ever find for a COASST survey! Although this fish won’t be winning any beauty contests with its mouth full of yellowish paired (or tripled) teeth, it is pretty important conservation-wise. 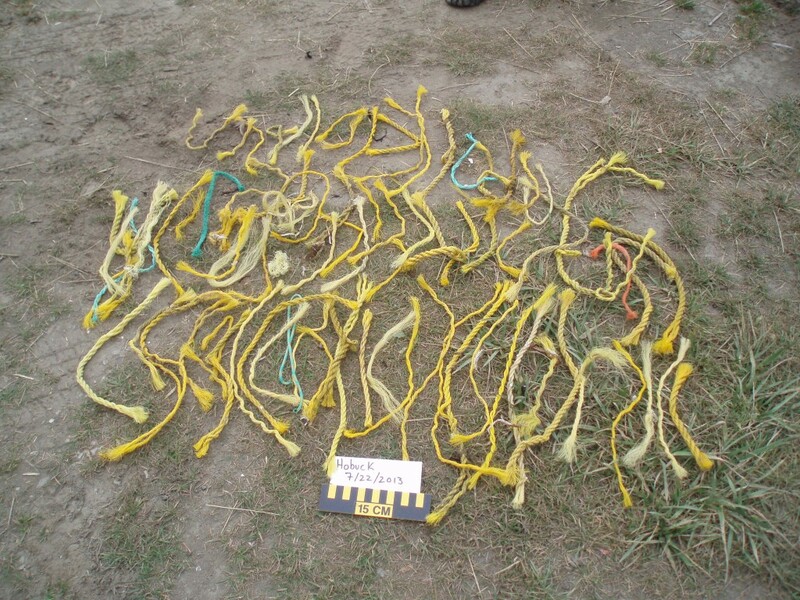 Lots of yellow rope found by Heidi and team out on the North Coast of Washington! These 30cm (12in) fragments of small diameter polypropylene could have a couple of possible origins. Rope like this is often used in recreational fisheries, perhaps from a larger length encountered at the surface, wound around, then cut from a propeller. This type of rope is also used in oyster culture and cut as the crop is harvested. 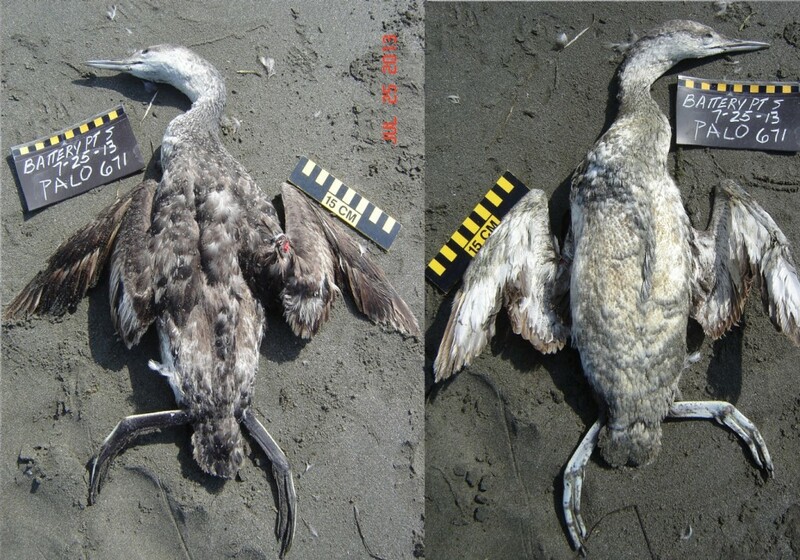 With rope, larger loop fragments pose and entanglement hazard (especially to seals), fragments pose an ingestion threat, based on length, to many marine species. 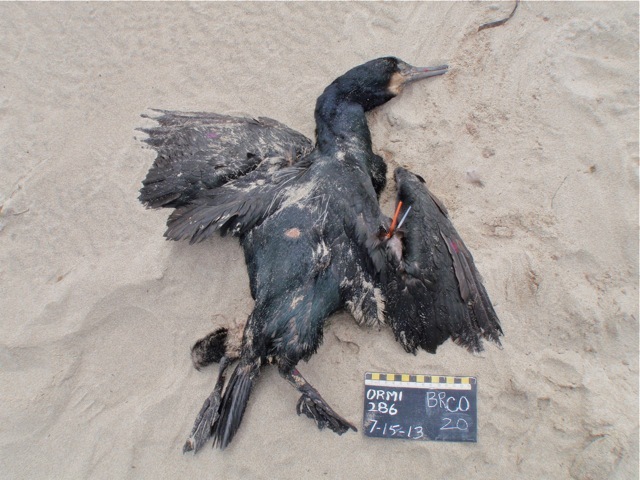 This entry was posted in Uncategorized and tagged Fish, Loons, Marine Debris, Pouchbills, Seabird, Waterfowl on 30. July 2013 by coasst.